Remember ‘An Army Of One,” that US Army recruiting ad slogan from a few years back? It not only was stupid, it was wrong. An army is, by definition, a group, and “one” of anything is rarely enough to win anything armies try to win, such as taking over countries. Unless that “one” is named Schwarzenegger or Stallone. Or Kennedy. Or Roberts. An army isn’t needed anymore to overthrow a nation. One Supreme Court justice is all it takes. We have gone form a representative republic to a nation of one. One vote, one opinion, upon which so much of our liberty hinges. There are 535 voting members of Congress and one president, but none of them matter anymore. One man holds all the power of God when it comes to governing the United States. Justice Anthony Kennedy is 78 years old. Justice John Roberts is 60. You need only one of them to fundamentally change the nature of government in this country. The four liberal justices might as well not even show up to work, or at least take turns and show up one at a time. Their vote is a forgone conclusion. On major social or policy issues, they will come down uniformly on the left, no matter what. The conservative justices switch and disagree depending on the case, though they tend to err on the side of the Constitution more often than not. Roberts is a judicial schizophrenic. Rather than calling “balls and strikes” like he promised in his confirmation hearing, he sometimes strictly adheres to the Constitution but sometimes is willing to create or rewrite law as he sees fit, as demonstrated in his two Obamacare rulings. He tortures language and the role of the court to ensure, for whatever reason, government can require individuals to purchase a private product and change the meaning of words. Kennedy, on the other hand, is a wildcard. He’s the justice everyone waits for. When there’s a case before the court where the choice between constitutionally limited government and expanded, progressive government is on the line, he’s the deal-breaker. Far too often, on which side of the bed he wakes hinges the fate of every American, to one degree or another. One man decides how much government can do or can make us do. One man. Unelected, unencumbered, unaccountable. One man. 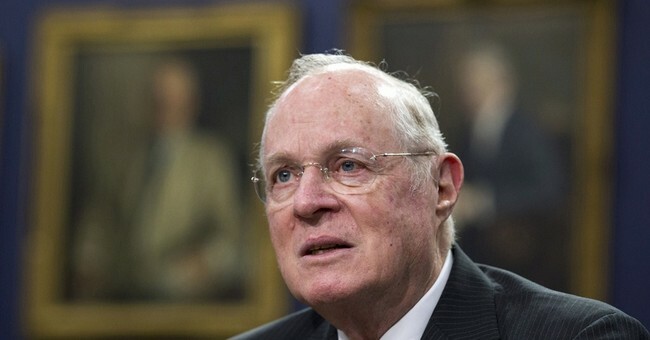 We have become a nation of Anthony Kennedy, held hostage to his whims and bound by his flights of fancy. As I’ve said before, I’m not too interested in the issue of gay marriage as a moral argument. I oppose it on semantical grounds. I’d also hoped the Supreme Court would rule on the side of law, not wishes. That is, after all, supposed to be its job. What does that mean? Everything, anything and nothing. Should a similar issue come before the court again in Kennedy’s lifetime, it can mean anything he wants it to mean. It can be read as liberating, in a way, because one interpretation is no matter what we do, the Constitution guarantees us protection. Of course, that interpretation is based upon the Constitution granting us rights. But Kennedy’s closing lines put a more disturbing spin on his fluid opinion. If the Constitution, if the government, “grants” rights, those rights can be taken away by the grantor. The Constitution is specifically worded to avoid the granting of rights. Rather, it is written with the understanding people are born with certain rights and “Congress shall make no law” taking away or limiting them. “Shall not be infringed” is only ambiguous to those who wish to infringe. Agree with the Supreme Court decisions this week or not, the manner in which they were reached should bother everyone. We have become a people whose rights can be created or infringed upon the whims of one man. At 78, Kennedy won’t be around forever. The next president may well end up replacing the most important person in the country. Think about that next time you swear you absolutely will not vote for someone, anyone, if they are the Republican nominee.